We’d love your help. 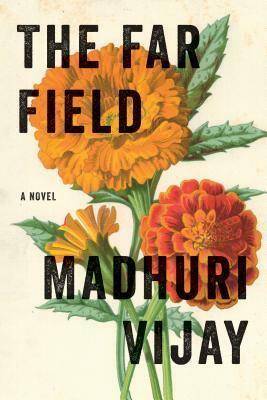 Let us know what’s wrong with this preview of The Far Field by Madhuri Vijay. To ask other readers questions about The Far Field, please sign up. The Far Field follows Shalini, a young woman who is adrift and grieving after her mother’s death, as she journeys from her comfortable home in urban Bangalore to a Kashmiri mountain village. She is searching for a man who had disappeared from her mother’s life years before. But while she seeks to unravel the events that led to her mother’s death, Shalini’s presence sparks danger for the local residents. Madhuri Vijay’s prose is elegant and understated, and she does such an amazing job of evokin The Far Field follows Shalini, a young woman who is adrift and grieving after her mother’s death, as she journeys from her comfortable home in urban Bangalore to a Kashmiri mountain village. She is searching for a man who had disappeared from her mother’s life years before. But while she seeks to unravel the events that led to her mother’s death, Shalini’s presence sparks danger for the local residents. Madhuri Vijay’s prose is elegant and understated, and she does such an amazing job of evoking the sights, sounds and smells of each locale in vivid detail, that it’s almost like being there. The bustling streets and shops of Bangalore, the insularity and tensions of military-occupied Kishtwar, a struggling remote village against a backdrop of spectacular mountains: all are brought to life with startling clarity. The setting and its inherent tensions catalyse the dramatic events, but you don’t need more than a passing familiarity with Kashmir’s history to follow this story. Virtually every character is emotionally distant, either by inclination, upbringing or political necessity, and while this does at times make for a chilly read, it fits the book completely. For the Kashmiri characters their outward reserve is part stoicism, part ingrained secretiveness required for survival in an area defined by decades-long territorial disputes. They are all grieving the death or disappearance of loved ones, much like Shalini, the fish-out-of-water narrator. Some much-needed vitality is injected in the forms of two characters: Shalini’s mother, audacious, brittle and erratic, who calls her daughter ‘little beast’; and sunny Amina, a Kashmiri villager whose hospitality towards Shalini has disastrous consequences. When you work at BOTM, you read …. a lot of books. So many that at times I’m not even sure which ones I’ve got in my bag. So when I grabbed The Far Field as an in-case-I-run-out-of-things-to-read-this-weekend, it was a rare moment of serendipity; I had no idea I was packing a book so wonderful that it would become my favorite read of 2018. The Far Field follows Shalini, a young, fairly well-off Indian woman, who travels to the politically fraught region of Kashmir in a bid for closure after the death of her mother—a fearless, hot-tempered woman to whom Shalini was loyal. Instead, she finds herself swept into the lives of a family of generous people who offer her shelter and support, even as violence upends their lives. But the closer Shalini becomes to the villagers she meets, the more her presence threatens their safety. You know that feeling when a book is so good you forget you have a body that needs to eat, sleep, and move around? Yeah, that’s what The Far Field did for me. I was transported by Shalini’s story—her heartbreaking relationship with her mother, her search for a life of meaning, the often infuriating choices she makes—and by the stories of the Kashmiri people living under constant scrutiny by police. The novel is both richly drawn and easily digestible (think Min Jin Lee’s Pachinko ), and it gave me book hangover for days. I’m thrilled to recommend this moving debut to the BOTM community, and I cannot wait to see what Madhuri Vijay writes next. Christine I loved Pachinko so I will give this a try!! Shalini, 30 years of age at the start, was from the city Bangalore, in India. She came from a wealthy family. As a child - she remembers an animated traveling salesman - Bashir Ahmed - that visited her family. Bashir then disappears from their lives....wasn’t seen for a decade. Shalini loved her mother - but their relationship was confusing to her as a child. Her mother had a strong vivacious confident personality at times - and down right Audiobook...narrated by Sneha Mathan..
Shalini loved her mother - but their relationship was confusing to her as a child. Her mother had a strong vivacious confident personality at times - and down right cold - or aloof - arrogant - sarcastic - and borderline mean at other times. But Shalini looked up to her mother- hoping to please her. She admired things about mother - wanting to be much like her. Her mother always seemed most happy when Bashir visited. His stories about his village in Kashmir brought out the best in both mother and daughter. After her mother dies- grieving and restless....Shalini takes off to a Himalayan village - in Kashmir - hoping to find Bashir. She thinks he knows things - secrets - about her mother which she is determined to find out. Shalini figures out - her mother and Bashir must have been having an affair - not far from under her father/ husband’s eyes. Arriving in Kashmir brings a new set of problems. A family in the village takes Shalini in. It’s while being in the village that Shalini sees how completely different life is than how she grew up. Nobody is wealthy or privileged in the village. The poverty and political strife - especially between India and Pakistan- is maddening. coming into her own identity- finding her own voice... with many universally themes. I spent close to a year in India in the mid- 70’s. I love the culture of India. balanced with love - war - and the challenges of both. I love books about Asia and this one is a winner. Shalini is a young woman adrift. Her beloved, mercurial mother has just died and Shalini is recently graduated from college, living with her father in Bangalore and going through the motions in a dead end job. On a whim, Shalini decides to track down a former friend of her mother’s, a mysterious door-to-door salesman who shared a secret bond with Shalini and her mother. Knowing very little about this man’s whereabouts other than he lived in a remo I love books about Asia and this one is a winner. Shalini is a young woman adrift. Her beloved, mercurial mother has just died and Shalini is recently graduated from college, living with her father in Bangalore and going through the motions in a dead end job. On a whim, Shalini decides to track down a former friend of her mother’s, a mysterious door-to-door salesman who shared a secret bond with Shalini and her mother. Knowing very little about this man’s whereabouts other than he lived in a remote Himalayan village in Kashmir, Shalini sets off to find him. Shalini’s journey is a coming of age story, a family drama and an exploration of political, class and cultural strife in northern India. Vijay does a masterful job of developing her characters and creating ambience and atmosphere. I felt like I was there with Shalini every step of the way. It’s a long journey and a slow one at times, but I enjoyed the ride - even though I wanted to smack Shalini upside the head more than once. Excellent debut novel for Vijay. I will definitely look forward to reading what she writes next! "The Far Field" is narrated by Shalini, who tells us at the opening, “I am thirty years old and that is nothing” — an acknowledgment that she is neither young enough to be innocent nor old enough to be wise. She delivers this searching story in a trance of sorrow, still stunned by the cruelty she witnessed and the disaster she precipitated. Like Anuradha Roy’s recent novel, “All the Lives We Never Lived,” “The Far Field” is about the search for a missing mother in India, though it takes a wholly "The Far Field" is narrated by Shalini, who tells us at the opening, “I am thirty years old and that is nothing” — an acknowledgment that she is neither young enough to be innocent nor old enough to be wise. She delivers this searching story in a trance of sorrow, still stunned by the cruelty she witnessed and the disaster she precipitated. We learn of these encounters intermittently and only after. . . .
A couple of weeks ago, I started seeing this book everywhere - Instagram, Facebook, you name it... When I learnt it was set in India, I knew I had to read it. The story follows a 24 year old Shalini, a privileged young woman from Bangalore, who, after her mother's death, decides to set off on a journey to find her mother's long lost friend from Kashmir. The narrative switches between the presence and Shalini's childhood memories of her eccentric mother. Finding a pleasure in mocking and ridiculing people, Shalini's mother was not an easy person to be around. While the scenes of Shalini's mother's outbursts seemed entertaining to me at first, my heart soon started to ache for the poor child. It is not easy to describe this book as I feel that my summary above doesn't do it justice. There are a few different layers to the story. The Far Field is a story of a young woman's journey to self-discovery, a complicated heart-wrenching mother-daughter relationship, and ultimately, forgiveness. It also offers a sensitive insight into the conflict in Kashmir. I found the writing extremely powerful. It transferred me back to India within the first few chapters. Even if the build up can seem a bit slow, the prose is beautiful, compensating for the slower pace. The only thing that frustrated me at times was Shalini's behaviour. I thought she came across too naïve for her age, but thankfully, the story was compelling enough for me to forgive her. Tl;dr: The Far Field has passages of gorgeous writing but pulls the novel equivalent of a hamstring trying to prove its point about privilege and what it does (nothing good) and how it blinds you. The Far Field is the recollections of Shalini, a thirty year old privileged woman living in Bangalore who shares what happened to her when, as a twentysomething grieving the death of her mother, she decided to track down a traveling salesman from Kashmir who visited their home (and who her mother was fa Tl;dr: The Far Field has passages of gorgeous writing but pulls the novel equivalent of a hamstring trying to prove its point about privilege and what it does (nothing good) and how it blinds you. The Far Field is the recollections of Shalini, a thirty year old privileged woman living in Bangalore who shares what happened to her when, as a twentysomething grieving the death of her mother, she decided to track down a traveling salesman from Kashmir who visited their home (and who her mother was fascinated with) when she was a child/teenager. As you can imagine, the trip has Shalini realize how different and difficult the lives of others are, while she seeks to find meaning and purpose not just in the actions of her volatile mother, but in her own life. This leads to a series of revelations and actions that don't change her life but do manage to ruin the lives of others. The writing is gorgeous, although Ms. Vijay tries way too hard to create a poetic and meaningful ending and winds up overgilding the lily. The Far Field is at its best when describing the beauty of and loss in Kashmir, and how all the conflict that's happened has largely been glossed over by the world. The sections that focus on Shalini's time there are the best in the book. Shalini's mother is, of course, a large presence in the book, and The Far Field does a good job of showing how difficult it was for her, constrained by society and broken by her (largely untreated) mental problems, as well as how Shalini coped (or tried to) with her mother's swings from joy to despair and beyond, while assuming that somehow, the journey she takes will help her understand. In the end, she breaks herself and, more importantly, others as well. The Far Field is about privilege and the consequences of it, but spends so much time belaboring this that what could have been a spare, haunting novel is a winding road that loops back over and over again. At the end of last year, I decided to actually use my NetGalley account and request eARCs: I read some amazing ones, two of which were written by new favourite authors: Meg Elison & Samanta Schweblin. My first ARC for 2019 is Madhuri Vijay’s remarkable debut novel, The Far Field and I couldn’t be more thrilled: the writing completely swept me away, creating a vivid picture of the beauty of and the tragic and brutal conflicts in Kashmir and Kishtwar. It deals with social and political issu At the end of last year, I decided to actually use my NetGalley account and request eARCs: I read some amazing ones, two of which were written by new favourite authors: Meg Elison & Samanta Schweblin. 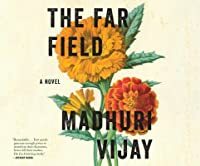 My first ARC for 2019 is Madhuri Vijay’s remarkable debut novel, The Far Field and I couldn’t be more thrilled: the writing completely swept me away, creating a vivid picture of the beauty of and the tragic and brutal conflicts in Kashmir and Kishtwar. It deals with social and political issues, privilege versus poverty, grieving the loss of one’s parent, mental health, and finding one’s purpose in a violence-torn world. The characters, albeit flawed and guilt-driven, are well-developed and, I’d add, their actions are infused by their author with thought-provoking philosophical depth. I simply flew through the last 200 or so pages. Couldn’t put it down! This review has been hidden because it contains spoilers. To view it, click here. I started out really enjoying this book, but as I got further and further in, I found the characters frustrating. What struck me most was the theme of cowardice, every character had it and it stopped them from getting what they wanted. When I finally finished the novel, I just felt sad. Book is about the mid-twenties Shalini who goes on a journey to find someone after her mom dies. This book was slow and long. Scenery descriptions were cliché and bland which is disappointing in a book about such a vibrant place. Plot points seemed highly manufactured (maybe the title should be "The Far-Fetched") and the potential to be interesting was mostly never realized. All in all really not into it. I disliked the protagonist with a kind of detached distaste due to the fact that she was so Book is about the mid-twenties Shalini who goes on a journey to find someone after her mom dies. I disliked the protagonist with a kind of detached distaste due to the fact that she was so one-dimensional. Flashback scenes as told by the protagonist cited other characters calling her intelligent or frightening. I kept waiting for her to display those traits but she never did. The protagonist had at least 3 instances in the story where she could've "learned" something. Instead, in each of the (repetitively similar) scenarios she made equally fantastically inept decisions. Perhaps she's simply not intelligent enough to learn. The book is about taking responsibility for far reaching consequences...but the narrator never learned anything. i'm struggling to find a place to start this review. in many ways, the far field is an evasive book, moving between failures in communication, missed opportunities to speak or act, moments in which characters slip beyond each other's reach, offering, in answer to the question, "what should be done?" only what has been done, and who has been hurt by it. in others, it is a brightly, sharply lucid book, carefully attuned to the nuances of caring and its boundaries, to grief and closure, to complici i'm struggling to find a place to start this review. in many ways, the far field is an evasive book, moving between failures in communication, missed opportunities to speak or act, moments in which characters slip beyond each other's reach, offering, in answer to the question, "what should be done?" only what has been done, and who has been hurt by it. in others, it is a brightly, sharply lucid book, carefully attuned to the nuances of caring and its boundaries, to grief and closure, to complicity and the damage done by those who are privileged enough to see reality only in the pieces they choose. in every way, it's a book that surprised me with its poise, subtlety and grace. the far field follows shalini, restless and half-absent from her own life, in the wake of her mother's death; she finds herself pulled by the memory of a man who used to visit the house and shared a strange intimacy with her mother, a man that excited and frightened shalini and whose stories she has never forgotten. her search for him brings her to kashmir and jumma, and the political unrest that has fractured both the province and the family she has come to find. the parallel narrative lines, shalini's account of the years from childhood to college inexorably drawing her closer to her mother's death, and her account of the time spent in kashmir hovering at the edge of brutal political violence, are carefully balanced; while heavy with tension and fear, neither forgets entirely the possibility of intimacy, the power of vulnerability, the capacity of people to see each other and be seen in the nakedness of their imperfection. and i think maybe this is where all my thoughts have been trying to bring me: the power of the far field, similar maybe to the power of atonement and the god of small things, lies in its ability to hold the sickening inevitability of a mistake, a choice made in ignorance or fear or blindness, against a fundamentally tender, compassionate understanding of people. The Far Field is both strident and dynamic. This book is remarkable both in its content and its beautiful cover art. Shalini, loses her mother and then evaluates both her life and that of her late mother. During this evaluation, Shalini becomes curious as to what happened to one of her mother's dear friends whom she hadn't seen since childhood. Shalini's curiosity takes her from her home in Bangalore and leads her to a remote village in Kashmir where she finds a connection not only to the villag The Far Field is both strident and dynamic. This book is remarkable both in its content and its beautiful cover art. Shalini, loses her mother and then evaluates both her life and that of her late mother. During this evaluation, Shalini becomes curious as to what happened to one of her mother's dear friends whom she hadn't seen since childhood. Shalini's curiosity takes her from her home in Bangalore and leads her to a remote village in Kashmir where she finds a connection not only to the villagers of Kashmir but also to the region itself. However, in these turbulent times, is Kashmir physically and emotionally safe for Shalini? Is Kashmir safe for the generous villagers she’s now grown a connection to? 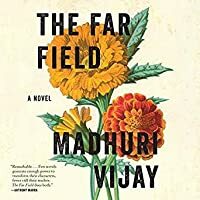 Author Madhuri Vijay’s debut book of literary fiction, The Far Field, has teeth and is an instant favorite for me. It invoked so many emotions that surprised me in a fantastic way. A disaster on multiple levels. Thank you to NetGalley and the publisher for a digital advanced reader's copy for review. The Far Field is a fictitious story of a girl who goes searching for answers to the questions she has about the enigmatic life of her mother but ends up becoming deeply embroiled in the political turmoil of Kashmir. Madhuri Vijay's prose is hauntingly beautiful. It took me quite a few pages to realize that the book was not actually a work of fiction because the characters seem so real straight off the bat. Th Thank you to NetGalley and the publisher for a digital advanced reader's copy for review. Madhuri Vijay's prose is hauntingly beautiful. It took me quite a few pages to realize that the book was not actually a work of fiction because the characters seem so real straight off the bat. Throughout the book, Vijay's attention to detail has a way of transporting you to their world; it's almost as if you exist in the same space as these characters. Each one has a complex, intricate personality to offer and despite being highly character-driven, the book manages to balance out the emotions with action. As someone always familiar with the conflict in Kashmir, this story was all the more moving. A lot of the opinions expressed by the characters resonated with me and quite a few situations in the book distressed me to no end as if I had to experience them myself. That made reading this story an even more powerful experience. PS. My favourite part was when a character who is fluent in multiple languages (Urdu, Kashmiri & English) is asked why he learnt this many, he states that different languages are good for different purposes and goes on to say that poetry is always more beautiful in Urdu and Kashmiri was made for stories. I've been saying this for years about Urdu and it made me fall even more in love with this story! This story swept me away, it felt like I was watching a movie and seeing it play out in front of me. The characters and the setting felt very real. Really this is a 4 star read that i'm rounding up because I was so enthralled. The ending.... makes our main character out to be incredibly naive, but given her upbringing and how sheltered she is, I think I buy it. Regardless, I still found this enchanting, I hope Vijay writes more! What an unexpected surprise this book was! This is the first time I read a book that takes place in India, so I wasn't sure what to expect when I decided to request an ARC. Two years after the death of her mother, Shalini our main character is still overwhelmed with grief. Looking back at the memories of her mother, she notices that the most happy ones about her, include the visits of Bashir Ahmed, a man from Kashmir, who comes every few months to Bangalore to sell clothes. Those were the only times when her mother went from cruel and sarcastic to joyous and relaxed. So she sets off on the adventure of finding Bashir Ahmed, ultimately trying to make peace with the unexpected death of her mother while at the same time trying to keep the happy memories of her alive. I loved the alternating chapters between the past and the present, between her family's pretentious lifestyle in urban Bangalore and the modest lives of the Kashmiri villagers. The hidden reason of Shalini's journey to Kashmir unfolds gradually throughout the book, presented in flashbacks that portrait Shalini as a child and later on as she leaves for college, carefully laced with the ever-changing relationship between her and her mother. I have to admit, that some characters stole my attention more than the main one did. At some point I found myself more focused and invested in the lives and development of other characters, like Amina and her family, or the controversial woman that was Shalini's mother. I really liked Amina and her presence in the story, she was the opposite of Shalini, brave and sure of herself, dare I say, while the mother definitely gave some flavour to the story, whenever with her „little beast” remarks present. The writing style was a big plus to the entire story, it's not pretentious nor is it plain, it's rich in a straight to the point kind of style. The writer does a great job evoking all the beauty of Kashmir through her writing. What I appreciate the most is that even though the book is substantial in political issues, the information isn't overwhelming, it's more like a puzzle piece that fits perfectly into the story. I wouldn't say that the plot was slow, but more like switching from the urban Bangalore lifestyle to the rural life in Kashmir. It did get suspenseful at some point near the end of the book. Another detail that caught my eye was the subtle presence of the language barrier and overcoming it, as the languages spoken by the characters alternated between Urdu, Hindi, Kashmiri and English. Overall, I enjoyed reading about Shalini's family dynamics, especially her relationship with her mother, and her journey to Kashmir, where she was welcomed with warmth and kindness. The Far Field is a book about India, and a book about India is a book about the world. Through the eyes of Shalini, Vijay teaches us what it is like to watch a naïve mind slowly unfold and open wide. Wide as my eyes at the end, wide as the marigolds on its jacket. It is about divides across a nation—and the misunderstandings that precipitate and perpetuate them. It is about privilege and education’s production of false positives—enlightened minds without an inkling of knowledge of what is happen The Far Field is a book about India, and a book about India is a book about the world. Through the eyes of Shalini, Vijay teaches us what it is like to watch a naïve mind slowly unfold and open wide. Wide as my eyes at the end, wide as the marigolds on its jacket. It is about divides across a nation—and the misunderstandings that precipitate and perpetuate them. It is about privilege and education’s production of false positives—enlightened minds without an inkling of knowledge of what is happening underneath the world’s covers. It is about how Shalini moves from an insular childhood to a perceptive adulthood through, sometimes literally, slipping on others’ shoes and heading from her own field to the far one. This book offers a visualization of the change that happens as a character blooms and learns to see the world and its people as they are. An indispensable confession of a novel in our current world, this story is millennially golden. 5/5 stars. This book inspired just about every emotion in me. First, it took me a little while to get into it. Then, by the middle I was absolutely enthralled and loved every page. Yet, by the end, I was angry and then I little underwhelmed as I did not feel like it delivered on its initial setup. The book is narrated by a young woman named Shalini. Throughout the novel Shalini is dealing with the grief of losing her mother. While working through her grief, she decides to seek out an old friend of her moth This book inspired just about every emotion in me. First, it took me a little while to get into it. Then, by the middle I was absolutely enthralled and loved every page. Yet, by the end, I was angry and then I little underwhelmed as I did not feel like it delivered on its initial setup. The book is narrated by a young woman named Shalini. Throughout the novel Shalini is dealing with the grief of losing her mother. While working through her grief, she decides to seek out an old friend of her mother's. This friend was Bashir Ahmed from Kashmir. Shalini travels to the Kashmir region and her presence brings tension to a region already filled with plenty of political tension. Essentially the above is what this novel is about. Yet it is about a heck of a lot more than that as well. Honestly, from a narrative standpoint, I felt it was not quite sure where it should land. It was trying to tackle so many concepts but did not fully flesh out all of them. Without trying to give anything away, I think the best example of this, is in the characters themselves. Aside for Shalini (who is a pretty unlikable character, but that is not really that point), all supporting characters feel flat. Now I actually adored some of the supporting characters, but even then they felt more like pieces instead of fully formed humans. But, despite that, there are glimpses of true beauty in this story and its storytelling. As I said, at one point I could not put it down. I was swept up in Kashmir, the prose, and the emotions of what was happening in the tale. At one point, I actually had a few tears in my eyes. I believe this Vijay's first work and I really think that her books have the potential to be among my favorites to read. I just felt this one did too much and yet too little. I'm not quite sure how to rate this book, it felt like it was missing something; it felt incomplete. It's beautifully written, but it somehow feels like it doesn't know what story it really wants to tell or perhaps how to tell it. After losing her mother, Shalini slowly falls apart. She realizes to put herself back together she must revisit someone from her past. This story takes place as she travels through India and gives a harrowing political backdrop to the story. This book was a low burn for me, until the last 200 pages or so. It’s really sad and complicated. I feel like I learned a lot about the area near the Indian/Pakistani border, and the conflicts between the Hindu and the Muslims who live there. I was constantly googling things as I read. It ended up being a really haunting read. I knew within the first few sentences that this book would be amazing. It was immediately beautiful and immediately compelling. I so enjoyed being swept away into this story. The writing was poetic and the storytelling beautiful. I would eagerly read the author's future work. "How can I explain what it was to be around her at those times? It was like being sealed within an invisible, protective, soundproof chamber. I saw and heard and smelled nothing but her." "I glanced at my I knew within the first few sentences that this book would be amazing. It was immediately beautiful and immediately compelling. I so enjoyed being swept away into this story. "I glanced at my mother, but she was unreachable now, offering no clue. It was the single most devastating habit she had, to withdraw, to take back the thrilling gift of her joy as casually as she bestowed it. I'd always believed that I was the only one in the world who saw it as clearly as I did, her lightning switch from one self to another. But one look at this stranger's face told me he understood it, too, and it gave me an odd and unexpected comfort." "His chin dropped so low it nearly touched his chest, and he took several deep breaths. His eyelids flutter almost closed. His hands came to rest in his lap. Over the years, I would become familiar with his tactics: the long pause at the beginning, the swift use of his deep voice followed by the precipitous drop, his trick of repeating innocuous phrases until they turned ominous." "I was struck by a sudden, savage resentment at her tone, which was pitying, yet I took a strange pleasure in it too. I sat with my head held high, tasting bitter pride in my own weakness, and hating myself for it at the same time, because, cynical and hardened as I believed myself to be at twenty-four, I had never stopped to consider that pity might, in fact, be another facet of love." "The dim room beyond was filled entirely with beds. Lumpy mattresses lay edge to edge, with only a narrow gap in between. Stepping carefully, I caught the smell that rose from each mattress, a smell that was neither sweat nor oil nor piss nor musk, but something so private and deeply human that it made me want to weep..."
"I stopped walking. We were on the porch now. There was a terrible eagerness in his face, and one look was enough to tell me exactly what he wanted. It wasn't hard to recognize, after all, that desire. It was the same desire that had propelled me away from my father, from Bangalore, that had put me on the train to Kishtwar. The desire that had brought me here. The pure promise of escape." "Then I pushed off with my toes and shattered the perfect surface. A well-crafted debut novel about a privileged young woman from Bangalore who lands herself in the midst of political troubles in Kashmir. I enjoyed both the family dynamics and the political and social backdrop. I have so many conflicting thoughts after reading this book. The setting of this story is unique. Set in Bangalore, we meet a young woman named Shalini who is processing her life in light of her mother's recent death. We journey with her as she sets off in search of her mother's old friend who lived somewhere in the region of Kashmir. The writing is beautiful--the descriptions of Bangalore and Kashmir vividly brought the people and scenery to life in my mind. It also touches on conflict as we se I have so many conflicting thoughts after reading this book. The setting of this story is unique. Set in Bangalore, we meet a young woman named Shalini who is processing her life in light of her mother's recent death. We journey with her as she sets off in search of her mother's old friend who lived somewhere in the region of Kashmir. The writing is beautiful--the descriptions of Bangalore and Kashmir vividly brought the people and scenery to life in my mind. It also touches on conflict as we see the divisive politics and prejudice that have caused a divide between not only the Hindus and Muslims who live in Kashmir, but also between the people residing in Kashmir and those who live in India. While I appreciated the author's writing and willingness to tackle difficult themes, I struggled to connect with the main character. She's a difficult character to like, but there were moments where I felt hope for her only to be later disappointed. I also struggled with understanding the overall purpose of the story. There are lessons that we learn along with the character, but I wasn't always sure of the point that the author was trying to make. I was really excited about this book, but couldn’t get through it. I wasn’t able to form any emotional connection or bond with any of the characters that made me want to find out what happens in their lives next. I closed this book still feeling unsure. Did I like it? Was it good? I still can’t quite tell. It’s well-written. I cared about the characters and the story. It takes place in a time and place I know practically nothing about, so I was interested to learn more through these characters. I liked her commentary on privilege and how we can be removed from the horrible things our government does while being willfully pampered and naive. And yet. The characters always felt a little distant, like I was r I closed this book still feeling unsure. Did I like it? Was it good? I still can’t quite tell. And yet. The characters always felt a little distant, like I was reading about them through gauze. Reading them felt slippery; I couldn’t quite get my hands or mind around them. The beginning and the end of the narrative felt rushed, while the long middle section felt too drawn out and meandering. Madhuri Vijay was born in Bangalore. She is the recipient of a Pushcart Prize, and her writing has appeared in Best American Non-Required Reading, Narrative Magazine and Salon, among other publications. The Far Field is her first book.